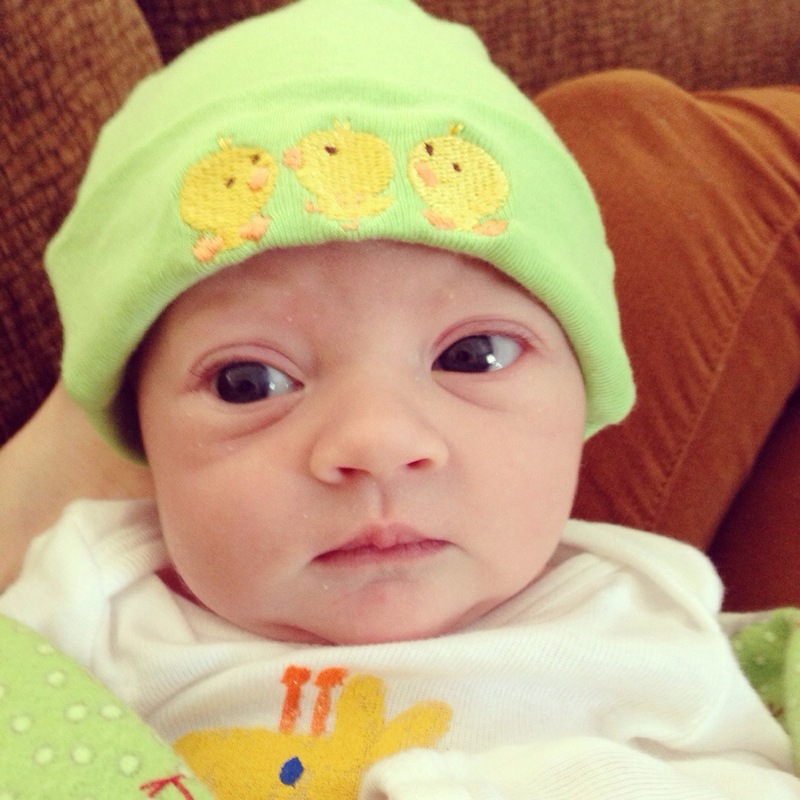 The highlight of their visit (besides the adorable baby) was our customary visit to the local thrift stop. 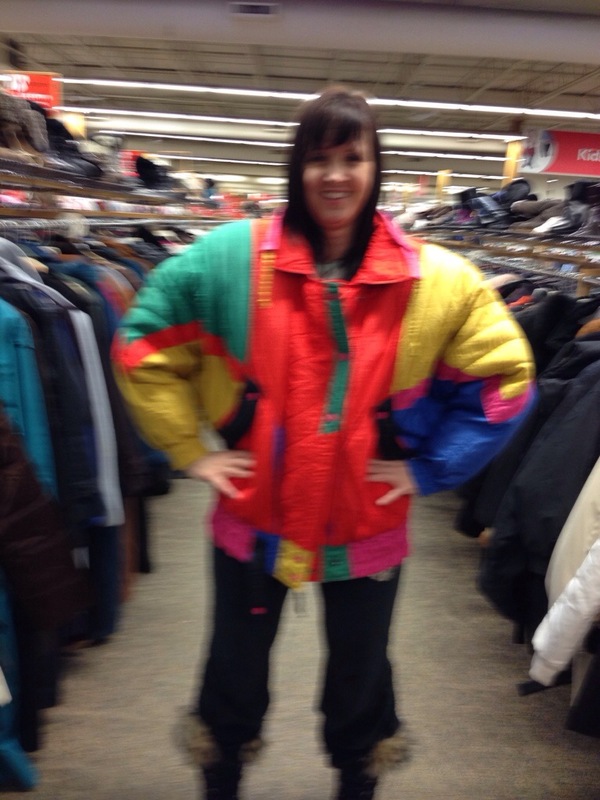 Insert Thrift Shop song here. 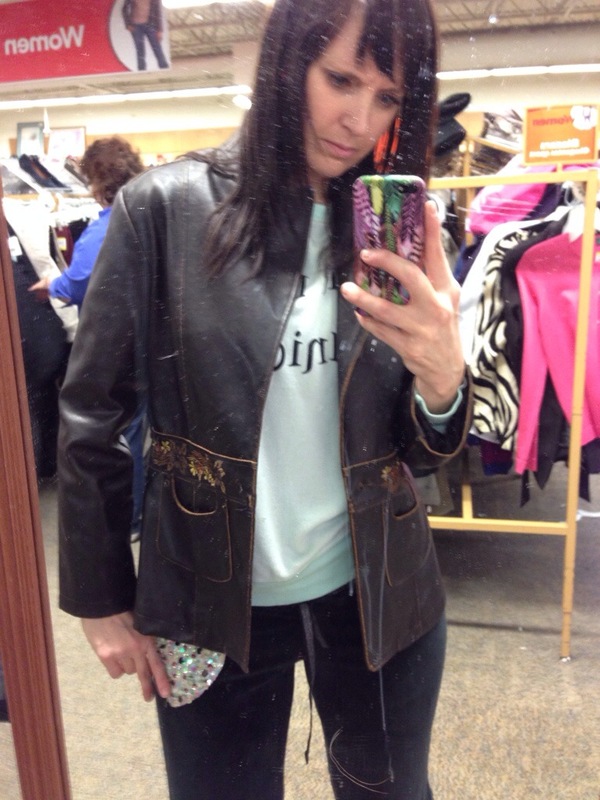 I could spend HOURS at the thrift shop… oh wait…. I already do. It’s like a treasure hunt! 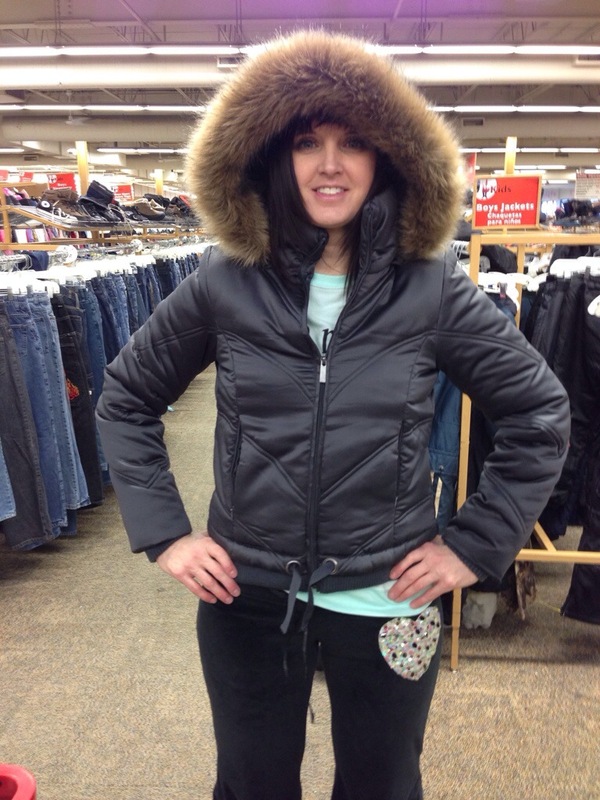 There were so many gems. 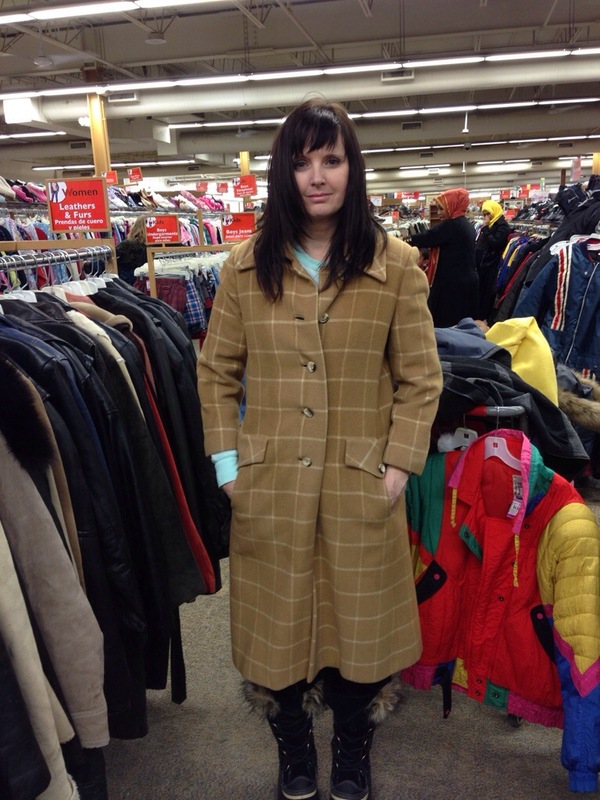 I’m on the fence about this vintage coat, but at $3.99, how can you go wrong?!? 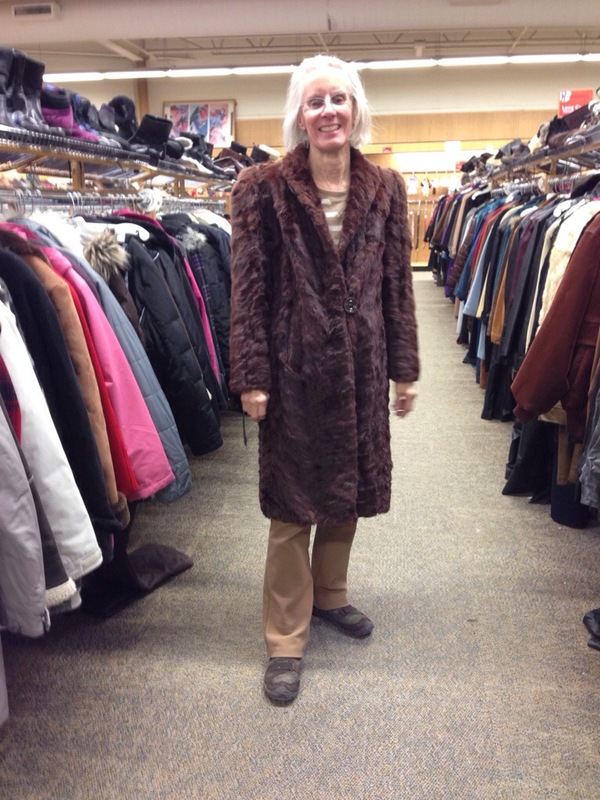 But, the find of the day is awarded to my mother, who wears this pimp coat like nobody’s business! Who wants to go with me next time?!? !